With World Cerebral Palsy Day celebrated on Friday, two PyeongChang 2018 Paralympic Team hopefuls are pushing for a change around the awareness of their disability. 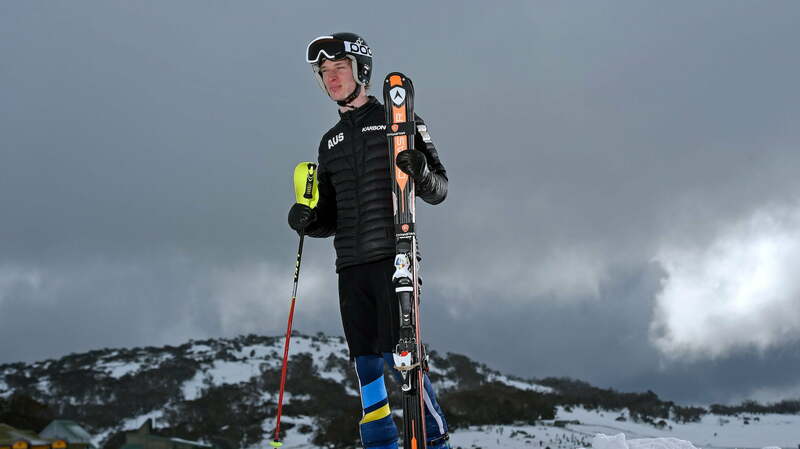 Through their achievements in Para-sport, Para-alpine skier Jonty O’Callaghan (Vic) and Sochi 2014 Paralympic snowboarder Ben Tudhope (NSW) both hope to remove some common misconceptions around those living with cerebral palsy. NSW teenager Tudhope has cerebral palsy which has caused partial paralysis on his left side, but has adapted to become one of the world’s leading Para-snowboarders. “I don’t have complete control on the left side of my body, so with snowboarding I have to figure out different movements and adapt to a variety of techniques. I fatigue a lot quicker due to my condition but my coach (Lukas Prem) and I work together in training to bring out the best in me,” Tudhope said. “I really think the condition needs to be understood by everyone as it’s the most common disability found in children. As a Paralympian, I am hoping to influence others on increasing public awareness. Cerebral palsy is incurable but there are treatments available that can greatly change a life. Tudhope was chosen to carry the Australian flag at the Sochi 2014 Paralympic Games closing ceremony at just 14 years of age. He said his disability has provided him with more opportunities than disadvantages. O’Callaghan, a PyeongChang 2018 hopeful in the sport of Para-alpine skiing, acquired his cerebral palsy from a stroke while still in the womb, which has resulted in paralysis on the right side of his body. “I depend solely on my left side limbs so it puts a lot more strain on my body and takes me longer to recover after training and competition,” O’Callaghan said. Aiming towards a top five finish at the upcoming PyeongChang 2018 Games in his events, O’Callaghan has one message for the Australian public. “Don’t come to conclusions about people with cerebral palsy, and avoid common myths made about those with the condition. People who have cerebral palsy have so much talent and it’s great to see Australians embrace disability and be open with what they can contribute to society. Cerebral palsy is an umbrella description for a group of non-progressive disorders of movement and posture caused by damage to the developing brain either during pregnancy or shortly after birth.